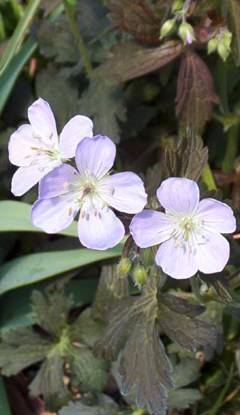 GERANIUM CRANESBILL. I collected and grew 200+ varieties back in Switzerland and wrote a book about them (yes, in German of course. Available for $10.00). 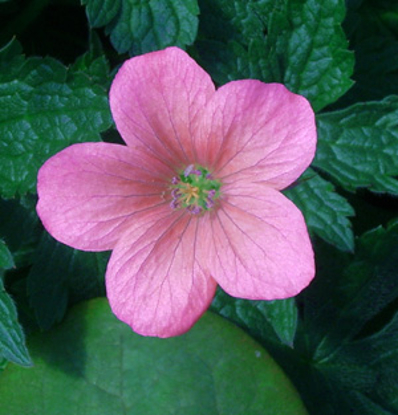 Due to the present smaller operation and the ever increasing plant kingdom, just several favorites made it across the ocean and fewer still into the current assortment. 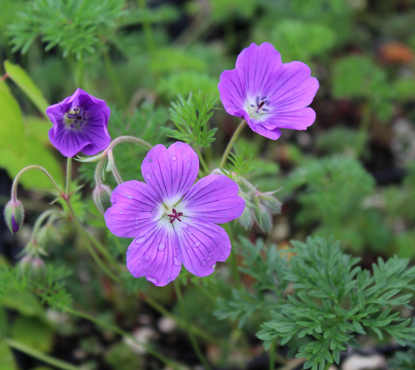 Among those are a couple of my own selections; G. maculatum 'Vickie Lynn' and G. malviflorum Sweetheart'. 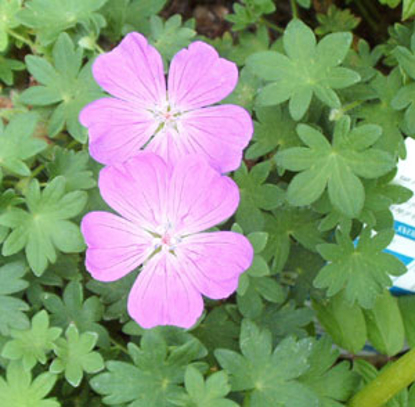 Geraniums are born companion plants with their unobtrusive demeanor. 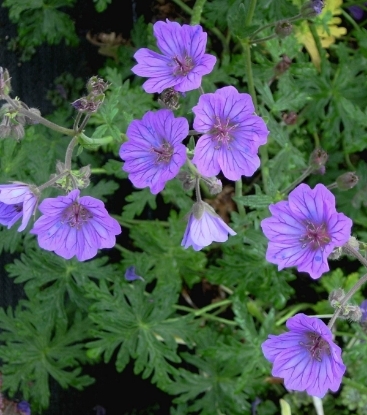 Most varieties re-bloom often after shearing back and produce a fresh flush of foliage. 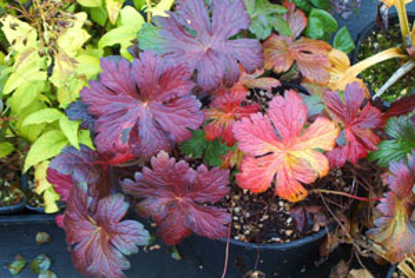 Many also have colorful to brilliant fall foliage.